The long feature that I have just written for Mosaic Science on women and violence has, in truth, taken a long while to write. I have reflected long and hard on our place, as women, in the history of power and violence. My own interest in violence may well have started as a child, when I was mocked by some other girls at secondary school for being different. I don’t think that kind of visceral experience ever quite leaves you. But it’s useful too. However, on a journalistic level, my study of violence began in earnest when I visited Rwanda in 1997 with the BBC, three years after the genocide, in which some 800,000 Tutsis and others caught up in the slaughter, such as the Twa hunter-gatherers, were murdered. We interviewed survivors and perpetrators. It was clear that women and children, just like men, had been involved in the killing. Some women had been chief instigators – although the stories we were pursuing were mainly about male perpetrators. That knowledge did not form any significant part of my journalism, until around 10 years later. It sat at the back of my mind. 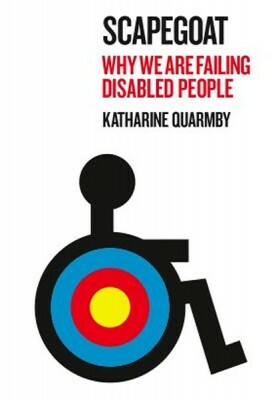 In 2007, I started to research hate crimes against disabled people, culminating in a book, Scapegoat: why we are failing disabled people, published in 2011. I have since gone on to investigate perpetrators of disability hate crime in some detail. I then found that women are over-represented, as perpetrators of such crimes, compared to other forms of hate crime, where the victims are perceived to be less ‘vulnerable’ and more likely to defend themselves. One of the many findings I took away with me from those heart-rending interviews with those bereaved by hate crime was the deeper sense of betrayal felt by those where the murder had been committed by women. They had committed not only a horrific crime – but one also against nature (it seemed even worse where the woman perpetrator was also a mother). The latest data on convictions from the Crown Prosecution Service shows that women are convicted of 25% of such crimes, compared to 15% of other hate crimes. This high proportion is mirrored in crimes against older people, in which women are convicted in 23% of cases, (although not all those crimes are violent). In safeguarding cases, which rarely reach the criminal threshold (around 1% of cases are referred to the police – most go to safeguarding boards for action of some lesser kind), although the gender of the victim is recorded, the gender of the perpetrator is not. The Department of Health and charities in the field do not record gender. But when cases are reported in the press, it is striking how many women are represented as perpetrators of financial and other forms of abuse and neglect in care homes where disabled and older people are residents. Journalist John Pring, who runs the news website, the Disability News Service, and who has investigated institutional sexual and physical abuse in a number of settings, has identified an even gender split amongst perpetrators in the cases he has investigated, although women are over-represented as victims. I was struck by much the same pattern when I carried out a small survey on disability hate crime for the Disability Hate Crime Network, for which I am volunteer co-ordinator, last year. It was a small, online survey of 100 disabled people last month to ask them more about the perpetrators of hate crimes. We asked about the gender, race and age of the attackers, location of the incident, whether the attacker acted alone or in a group, and about perceived motivation. I was also surprised, when researching a book last year on so-called ‘honour’ violence, to find that it was not unusual that women relatives would be involved in attacks on girls or women who refused to conform. I talk about this in some detail in the main article, and the report by the Her Majesty Inspectorate Of Constabulary which found that women were not only involved in planning, but sometimes in physical attacks on relatives. “Female family members can be involved in facilitating violence and abuse through informal conversation, pressurising males of the family to undertake HBV acts or assisting in arranging violence, or actually being involved in the violence or killings”, the HMIC report stated. This has been difficult to believe in the past, but we have to do so, to protect other women. We find it difficult to believe that women are violent – but we also find it difficult to cede any kind of power to women per se. Things change slowly – too slowly. Perhaps the current discomfort with women occupying a violent position has more to do with displacing 1950’s ideas of women in the home once and for all. After all, women have a hard time of it, displaying any kind of legitimate power at all, let alone illegitimate power. This was the subject of a panel discussion at the Fortune Theatre in London, in which an array of leading women from professions ranging from journalism, business and law, rostered by Women in Journalism, (of which I am a member) discussed the theme of Women and Power. It’s still a problem – how to project authority without being seen as aggressive, as Sylvia Ann Hewlett, rated as a top business thinker and an authority on the gender wars, told the audience. Her organization, the Center for Talent Innovation, she reported, carried out a wide-ranging study into why women do not advance as far as men in their careers. Only 26% of women interviewed would go for a top job if offered one, she said, because they were frightened of the consequences for the rest of their lives. Hewlett, and others on the panel, is trying to change that, by stressing the agency that power can give women – and the ability that agency can give women to empower others (men and women), and to determine their own working hours, and so on and so forth, and to change the ethos of their organisations. It is an uphill struggle, but a worthy one. Hewlett stresses that “women without babies are also conflicted about power. Women seem not to understand that they can bend power to their purposes.” She adds that her study found that only 15% of women in their study liked the word ‘power’ compared to 85% of men. But, she added, this was not true across all racial groups – African American women were much more comfortable about reaching for power, as were Latino women. She concluded: “The problem is most acute for middle class white women” – who seemed most uncomfortable with reaching for power. To summarise, Hewlett’s research does seem to suggest that the interplay between culture and how woman and men perceive and are perceived when they reach for power is key. For if women, who all share the same gender, perceive power differently across the racial divide, culture is clearly key, rather than men’s brains and women’s brains. We can definitely all agree on one thing: violence, whether perpetuated against ourselves or those we purport to love, has long-lasting consequences. This was obvious in Rwanda (and has been since, talking to survivors). It was also the theme of a play I saw during the course of my research into this article. In a packed lecture theatre at the Tavistock Centre in north London, famed for its work on mental health, two women act out scenes from a play about self-harm. The work is located in some kind of unit, although whether it is a hospital or prison is left deliberately unclear, the director, Sally Willis, explains later. What is clear is the overwhelming savagery of violence against the self. “The devil wriggles down the generations’ observes Suzi, one of the characters, if the cycle of violence against the self and others is not broken. After Dot, the other character, has slashed one of her wrists, she talks about the focus of the play: “It’s about the violence inside of me”. Uncomfortable as it is to see, such a play makes sense: when we connect the words ‘women’ and violence’ most of us think of self-harm, or the violence that men do to women. However, the work of forensic psychologist and psychotherapist Anna Motz, and the consultant psychiatrist who inspired her, Estela Welldon, who were both in the audience to respond to the play, goes far further. Between them, they have been largely instrumental in breaking what has been, largely, a de facto taboo on discussing female violence against others. As Welldon explained, when she responded to the play, her own practice at the Tavistock, where she is now an honorary consultant psychiatrist, was about listening and hearing differently, because “the voices of some women were not heard”. Those women had a conflicted and ‘perverse’ attitude towards their own children. Until Welldon broke that silence, “the therapist would shut them up”, not wanting to believe that some mothers hated their children. Is it too tempting, however, to try and understand violence through the prism of art and literature? Does it refract and distort our clean vision of it? Does it mean that we never see the woman offender in front of us as she is, without cultural stereotypes? One myth, upon which we often hang our understanding of violence amongst women, is that of Medea, a play written by Euripides almost 2500 years ago. In the play a warring couple, Jason and Medea, are divorcing; he has left her for a princess of Corinth. She retaliates by killing their children, before escaping to a new life. At no time, however, is she described as mad. I went to see a new production of the play as part of the Almeida Theatre’s Greek Season, rewritten by the author, Rachel Cusk. This was a modern Medea, in a contemporary setting, with a chorus of yummy mummies and Medea reduced to a one-note vindictive woman. Although the acting, particularly by Kate Greenwood in the leading role, was extraordinary, the ending failed, in my view, as the children take an overdose, instead of Medea killing them. 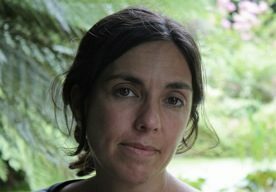 Cusk said, in one interview: “I couldn’t write a play in a modern setting about a woman who kills her children.” However, women still do kill their children – and not just out of ‘mercy’ or madness. Making women merely victims of men made me feel uncomfortable – as if women, today, have no agency or power. A similar elision of the pivotal role of Lady Macbeth in inciting the violence in Macbeth occurs in this year’s film version, in which Michael Fassbender, as Macbeth, dominates the action. Even in art, at times, it seems as if we find it difficult to contemplate our own power, for good and ill. Yet, going back to the text, Lady Macbeth tramples on gender stereotypes of both women and men, saying to Macbeth that she would dash a breastfeeding infant from her own body and kill it rather than go through with the murderous plan, and mocking Macbeth for being unmanned for not wanting to kill. We seem to be even more essentialist now, about gender, than we ever were, despite increasing evidence of the blurring of boundaries. I write fiction, as well as non-fiction, and indeed I have written fiction about the aftermath of the Rwandan genocide. I wrote a short story about a vision that haunted me – a true story, of a young woman I saw, on Rwandan TV footage (never broadcast, thankfully), whose throat was cut and who was then filmed, dying, to encourage the killing, by the Hutu interhamwe (militia). Luckily the TV station was liberated before the footage could be shown but that sight, of a young woman, in a yellow dress, dying, gave me nightmare for many years after I returned. I wrote a story about her to cauterise my own reaction to violence. Fiction, of course, enables us to myth-make and shape reality in a way that non-fiction does not allow us to do. It is a powerful medium, and risky because of that. Women who commit crime are not seen individually – they are seen in the context of myth, art, literature and history. How do we hear their individual stories and in doing so, understand them better? And, if we can see and hear more clearly, as the brave, empathetic and kind women I interviewed in the main piece for Mosaic Science stressed, that may go some way to putting together the jigsaw as to why some women commit acts of violence. Then, perhaps, we can start to construct a prevention strategy. This entry was posted in Uncategorized and tagged women on May 31, 2016 by katharinequarmby.